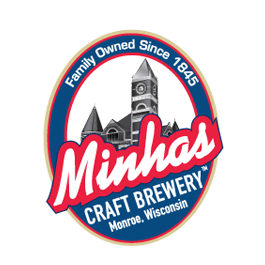 Visit the Minhas Craft Brewery. With over a 100 years of history, it is no surprise that the Minhas Craft Brewery is today considered one of the best micro-breweries in the country. If you are fond of beer (especially craft beer), then dropping by on one of their famous Wisconsin micro-brewery tours is highly recommended. There you will have the opportunity to sample some of their finest products while at the same time learn more about the history of craft beer in the country. Visit the Baumgartner’s Cheese Store & Tavern. Of course, a visit to the “Swiss cheese capital of the USA” is not complete without a visit to… well… a cheese store! If you are like us and you absolutely adore the idea of beer and cheese together, then you will enjoy your stay in this lovely little tavern. Visit the Roth Kase Cheese Factory. In the event of Baumgartner’s tavern being unable to satisfy your cheese craving, then you can always turn to the Roth Kase cheese factory to take care of it. Knowledge, delicious cheese and even some chocolate are coming your way. Enjoy!